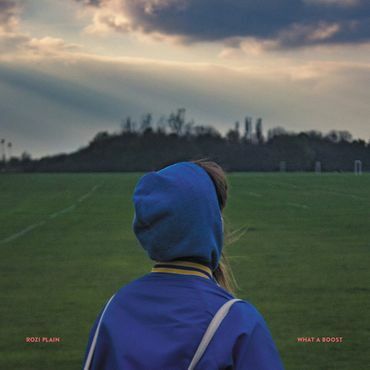 Rozi Plain makes music that is an antidote to the shallow business of modern living. Either bundled up in negative thoughts, worried about tomorrow or stuck in what happened yesterday, our focus is rarely on what’s happening in the here-and-now. Emerging after four years, her fourth studio album, What A Boost, is her most accomplished to date, brilliant not just in its musicality, but also because it brings our attention back the impermanence and simplicity of being in the moment. What A Boost is inspired as much by its observations on life as it is the multitude of relationships and collaborations Plain developed while on tour with This Is The Kit, or at 2018’s People Festival (a week of one-off performances devised by Bon Iver‘s Justin Vernon and Aaron Dessner of The National). Where Plain has perhaps previously seemed bounded by her own (magical) inner world, What A Boost opens itself out, endlessly unfolding its layers of jazzy repetition and serene, almost meditative passages. A process of action and reaction, honing and distilling the creative essence in each track, over the course of months and at different locations, the making of this album is a masterclass in bringing out the best in the talents around you and the places and circumstances in which you find yourself. “It’s so great to work with other people that you like and trust, and allow yourself to let things be taken to places you wouldn’t have been able to,” declares Plain. Those involved in this journey with her include (among others) Sam Amidon, Rachel Horwood (Bas Jan, Trash Kit), Joel Wästberg (sir Was) and Dan Leavers from the Comet Is Coming. The album was initially conceived at Old Dentist’s Studio, in Clapton, then developed further at an RAF base in Suffolk. Three songs, (‘Swing Shut’, ‘Conditions’ and ‘Trouble’) were recorded with Chris Cohen on a fortuitous day off from touring while in Los Angeles, with the album really coming together back in London, in Hackney at the Total Refreshment Centre, a renowned hub of the local jazz scene and the place where Plain recorded her last album, Friend. Without pretension or over-thinking, Plain’s lyrical framework for her songs is focused completely on the present. She builds a world around the listener, creating an entirely different temporal plane where moments of a few seconds can be explored, and re-examined in exquisite detail. Opening at a tempo that is naturally stilling, yet curiously adorned with gently swaying guitar and reedy sax and violin scrapes, ‘Inner Circle’ signals its intent to cut right through the nonsense and noise, to speak directly to us “looking in both eyes at the same time”. ‘Swing Shut’ follows, buoyed by its deep bass line and the lightest of jazz percussion. “If the doors swing shut then we will be both stuck, then what could we do?” asks Plain. Repeated as a mantra, this moment remains unresolved yet tantalisingly poised on the cusp of endless possibilities. By contrast, ‘Symmetrical’ is hypnotic in its word play and a mirroring guitar chord phrase keeps folding in on itself. Plain holds us in a reflective mood, contemplating a dream from different angles and sides, making meaning from its shapes. Likewise on ‘The Gap’, life’s twists and turns are embodied in the spaces between things. With its flute ostinato, febrile backing vocals and mesmeric synth arpeggios, we are invited to wonder “how things might turn out… moving forward, moving back” patterns of movement seen from a train window, as the rails bow and shift, rising as platforms before ebbing away once more. ‘Conditions’ plays further at the edges of potential, shifting inches at a time, then back, around a jazz phrase, while inorganic textures entwine with more familiar instruments, meshing with a feeling of anticipation. One of the album’s highlights, ‘Dark Park’, is more experimental and oblique, recalling the stripped-back ambience of ‘90s producer Beaumont Hannant with its lurking bass line. Finally, it’s great to hear ‘When There Is No Sun’, on What A Boost. A staple of Rozi Plain’s live set in recent years, and her take on the Sun Ra & John Gilmour track she loves. In the context of all that went before it, Plain’s hopeful rendering of this free jazz classic provides a blissfully sweet ending and a soft exit back to the real world. ‘What A Boost’ is out now via Memphis Industries.